The Rector of Yaba College of Technology (YABATECH), Dr. Margaret Ladipo, at the weekend, bowed out of office, having completed two terms of four years each. There is, however, perceived tension over the appointment of a replacement of the former Rector. Mrs. Ladipo tenure ended on Sunday, December 10 after serving two terms of four years each as stipulated in the Polytechnic Act. She assumed duty for her first tenure, on Thursday, December 10, 2009 and secured second tenure on December 2013. She took over from Dr. Olubunmi Owoso. 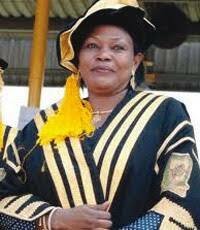 She was until her appointment as Rector, the Director of YABATECH Consult, a consultancy service unit of the College. The out-gone rector did not hand over to anybody because President Muhammedu Buhari has not approved the appointment of a new Rector two months after the selection exercise was concluded by the Lateef Fagbemi-led Governing Council. At the end of the two-day selection exercise, Mr. Obafemi Owoseni Omokungbe, came first with 89.7 per cent, Mr. Aledare Kayode, placed second with 76.5 per cent and Mr. Omobayo Raheem, came third with 59.7 per cent. Some college management are rooting for the third placed applicant and also the current deputy rector (administration), Mr. Raheem, an action that did not go down well with staff. The Daily Sun gathered that the same management group wrote petitions on the selection exercise to the Minister of Education, Malam Adamu Adamu, who invited the Governing Council chairman to defend the issues raised. Satisfied with the explanation of the YABATECH governing council chairman, the education minister forwarded a memo to President Buhari to approve the applicant that came first. National President, Academic Staff Union of Polytechnics (ASUP), Mr. Usman Dutse, has since urged President Buhari to appoint the new Rector for the institution based on merit. The College has been rocked by financial misappropriation, maladministration, insider dealings in contract awards, contract splitting and kickbacks, among others under the tenure of Dr. Ladipo. In December 2015, based on several petitions and complaints against the management of the YABATECH, the Minister of Education, Malam Adamu, instructed the then Director, Tertiary Education Department, Mrs. Hindatu Umar Abdullahi to set up an Ad-Hoc Committee to investigate the allegations contained in the petitions. The six-man committee had Prof. Idowu Awopetu as chairman, and O.P. Oshiba served as the secretary. Other members were Prof. Ngozi Nnamani, Dr. Sikiru Eniola, Ngubane Gladys P. and Lawal Hafiz. council has appointed the deputy rector (academics), Dr. O.T. Oyelola as acting rector until the Federal Government announce the substantive rector.